If you are a Nigerian or have been around Nigerians, you know that no celebration is ever complete without food. From all the food metaphors I am constantly using, you should be able to tell by now that I love food! 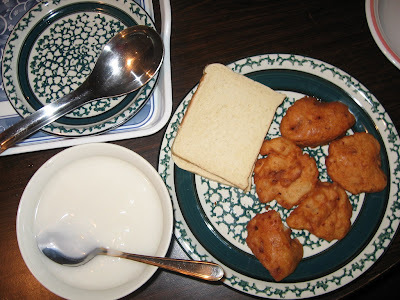 After making that confession, I need to add that last week I was thinking about Nigerian foods used in celebrations and today's blog post title was born. But, there's a twist. After artistes perform on stage (or in front of their bathroom mirrors), they will more than likely want to re-fuel, right? Singing and dancing take up a lot of energy, I tell you! Assuming an artiste has successfully performed at a concert, for instance, don't you ever wonder what he or she eats afterwards to celebrate? I do. While I am aware that Garden egg has many nutritional qualities, and is even used in some traditional ceremonies, I would never associate it with celebrations. Never! And certainly not with post-concert festivities. Unless, of course, you make it into a stew. Then, maybe we can talk. "Ah, Padimi! That concert was awesome o! Make we go celebrate with garden egg (igba)." Didn't I warn you? Doesn't it sound strange to your ears? Let's not push the issue any further. Off to number 2. 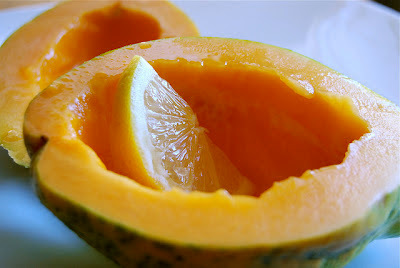 Before Osita Iheme adopted the name, Paw-Paw was a fruit. That's right, a fruit, which in Yoruba is called Ibepe. 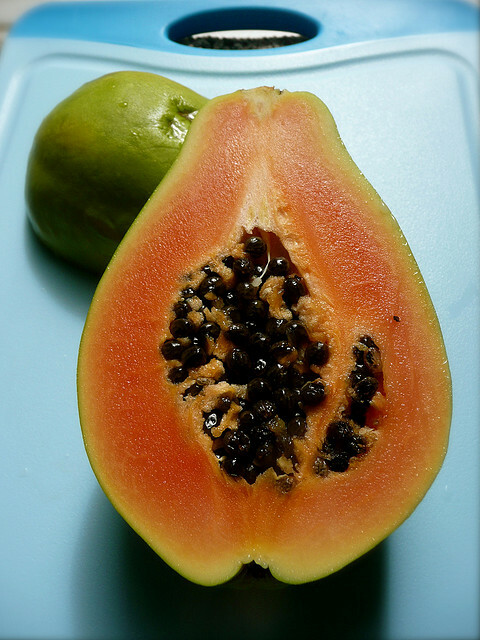 I actually like paw-paw. The fruit, I mean. But it is here on this list for its non-celebratory association, even though it makes a great addition to your fruit salad. Refer to the "Ah, Padimi" example in # 1 to see what I mean. 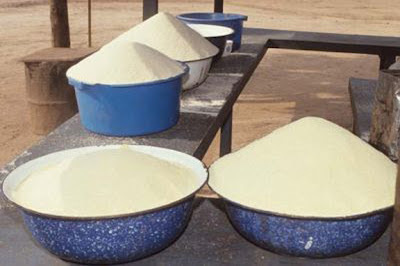 Garri, which is processed from cassava, used to be solely the poor man's food, but thanks to inflation (notably during Obasanjo's presidency), it has become just as expensive (if not even more expensive) than rice. Expense notwithstanding, 'soaking garri', i.e. eating garri soaked in cold water, with or without sugar (Sugar, not Splenda, please) is still not considered a way of celebrating a major feat, like a concert, for example. But that's just ordinary garri. 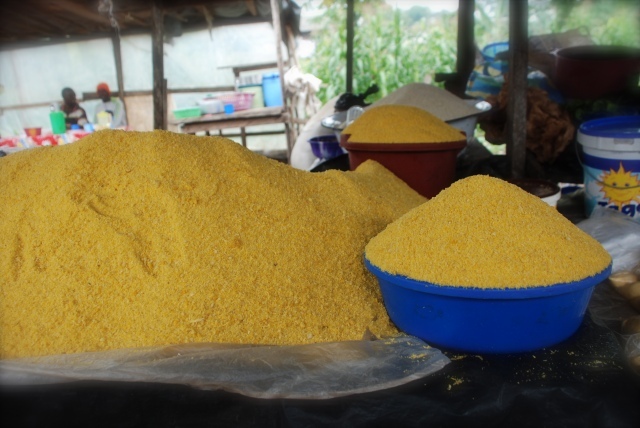 Paired with the right soup or stew, we can celebrate all day, every day with eba. The soup, in question, may or may not feature vegetables. Now, just in case you don't know what Kudzu is, you can read more about it here. I would describe it as a low-lying plant that is a cross between water lilies (not waterleaf) and Ugwu. In fact, the South (Southern US) has been defined as "where Kudzu grows." I actually heard that in a literature class. Yes, it is prevalent here in the South. Translation: A child does not recognize medicine and calls it an edible vegetable. Translation: A child does not recognize Kudzu and calls it an edible vegetable. Anyway, the moral of the story is this: While you can eat / celebrate with eba, please don't pair it with a koriko/Kudzu-based soup. You have been warned! Egusi soup, bitter leaf soup, etc are all viable (and safer) options. 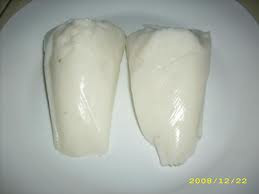 Pap, also known as Ogi or Akamu in Yoruba is processed and made from corn/maize. It is usually paired with moi-moi or akara, for breakfast. However, eating pap by itself to celebrate? Nay! I think not. 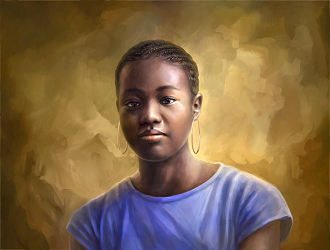 Eko, is the solid form of Ogi (# 4), and is on this list for the same reason as Ogi, i.e. it is typically not eaten by itself. Try eating it alone, and you'll see why. Question: What foods did you expect to see on this list? If I could describe Effizee in two words (based on his music and video, of course), I would say: energetic and happy-go-lucky. I have never seen anybody so happy to wash their clothes in a stream. If you have no clue what I am referring to then you need to watch the video to get the gist. His single, Jaginma (Praise God) is the focus of today's song review. 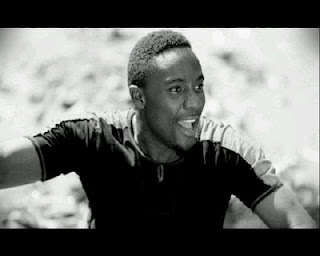 Likes: Having heard the original Jaginma song (it was called Anyi na ja ginma), which is an Igbo worship song, I have to say that I liked Effizee's version for the level of energy and improvisation he brings. He did not just re-sing an old worship song, but added new verses and adlibs in English and Igbo, thereby significantly altering and improving the song arrangement and structure. Simple Sam, who appeared briefly in the song, went along with the flow of the song, just like the background vocals (Oyoyo family?). Mekoyo did a good job on the beats as they helped keep a high level of energy throughout the song. Dislikes: The outro with the Oyoyo family / background vocals was iffy for me, simply because it sounded like a church choir. I guess that was deliberate, but it did not sound well-balanced. Furthermore, I found the use of auto-tune throughout the song, a bit excessive and quite distracting. It made Effizee and the background vocals sound like chipmunks. Not good! Recommendations: Please use less auto-tune. It makes for much better music. Enjoy the very last week in August because September Cometh! *Special thanks to Toinlicious for the correction on that proverb. Garden egg and yam was my favorite to eat!! I hate eko and the smell!! lol........i actually love garden egg (a lot) and can eat it anytime. Eko and Efo riro was a childhood nightmare. I used to hate them both and my mom, bless her used to force me (with the threat of a nearby cane) to down them. p.s: I think that proverb is "omode o m'ogun, on pe l'efo" = A child does not recognise medicine and calls it an edible vegetable. This is interesting, I have never thought about post concert foods to be honest. I don't associate music with food celebration necessarily, when i think of food celebration what comes to mind is naming and weddings. Concert or no concert, these are foods I can eat any day, lol. I love garden egg stew with palmoil and pepper, eaten with yam...yummy! I've seen Effizee minister live a couple of times, the guy does have energy! Lol. I Love the EKO and EBA. You this woman shaa. I like garden egg o. Very well, lol. The day in the life of a Naija mum: Wow! You know before putting up this post, I had no idea that garden egg stew existed. And now to find out that it goes well with yam! Wonders shall never end. And yes, the smell of eko is not exactly appetizing. Toinlicious: I did not discover eko and efo riro until later in life. By later in life, I mean when I could say "NO" to certain foods without getting caned. The approved foods are those not mentioned here, such as the usual suspects: jollof rice, fried rice, and other carb-heavy foods. 9jaFoodie: Really? I associate celebrations with food, and after concerts, it is common to celebrate. At least, the ones I attended. Myne: You're also a lover of garden eggs? I didn't know so many people favored the green fruit! And yam, again? I clearly did not get the garden egg stew memo. Dami: Thank God someone commented on the music! I always get tickled when someone has actually seen one of these featured artistes perform live. Thanks so much for confirming that, Dami. Sugarspring: I thought I was the only 'non-garden-egg-fan-club-member' in the house. Garden egg stew I have never tasted before, but many people seem to favor it. As for Kudzu, I am not sure it is only oyinbo people that eat it, but err, the very thought of eating a koriko ... most unpalatable! Amanda: Thanks! Following yours too. Amanda: So did you chop it that day? Inquiring minds want to know :-) Nothing like pictures to remind you of what to eat, ba? Ofili: Really? So, you're another lover of garden eggs? Wonderful! Interesting blog. I love garden eggs. They are one of my favourite. Nonso: You do? Well from the other comments, looks like you're not alone. Any garden egg recipes you want to share? Thanks for visiting. I like my garden egg with peanut butter. Nonso: Say what?! Peanut butter. Ah, this is the first I am hearing of this combination. I am familiar with roasted plantain and peanut butter, but not with garden egg. Roasted plantain and peanut butter? I have never heard about that combination before. Guess it boils down to individual taste. Nice blog post. Nonso: Really? It's pretty good. You should try it. Thanks!